For starters, there are major efforts in sourcing that didn’t exist in the same numbers as they did just five years ago. Chefs are looking at small farms and ranches, in some cases even hand-selecting the cattle they’d like to use in their restaurants based on the particular cuts they plan to use. There’s also the matter of preparation. Now more than ever, restaurants are looking for new and innovative ways to bring out the full flavors of their steak. From using charcoal-focused grills to the aging process, getting creative is the name of the game. 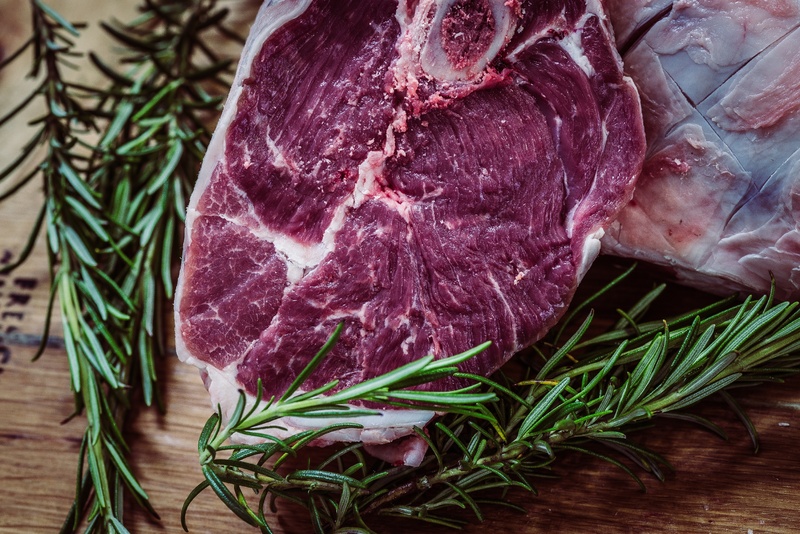 Dry aged steaks are good, and there’s some science behind that. During the dry aging process, enzymes will act on the protein in the steak, changing some of the compositions on the cellular level. Those proteins turn into amino acids and fats, while fatty membrane molecules transform into aromatic fatty acids. Going through the dry aging process will shrink the size of those molecules, making them more flavorful. While the flavor profiles of beef are enhanced, so is the tenderness. Enzymes weaken the supporting proteins and filaments, yielding steak that is more tender. Dry aging is becoming more and more popular. In restaurants, we see it popping up more in menus across Canada. In our grocery stores, even, we see it in the meat department. Check behind the counter, and you’ll start to see more and more dry aging rooms. But what needs to be controlled in order to create a safe and effective dry aging facility? The first thing that needs to be controlled is temperature. When you control temp, you essentially control the entire decomposition process of the meat. Too cold, and the meat doesn’t change. Too hot, and it will decompose to unusable conditions. Ultraviolet light can also assist in a dry aging room, as it can help kill any airborne bacteria within the space. This is obviously important from a safety standpoint. Finally, there’s humidity. When beef dries quickly, bacteria and mold growth will stop. 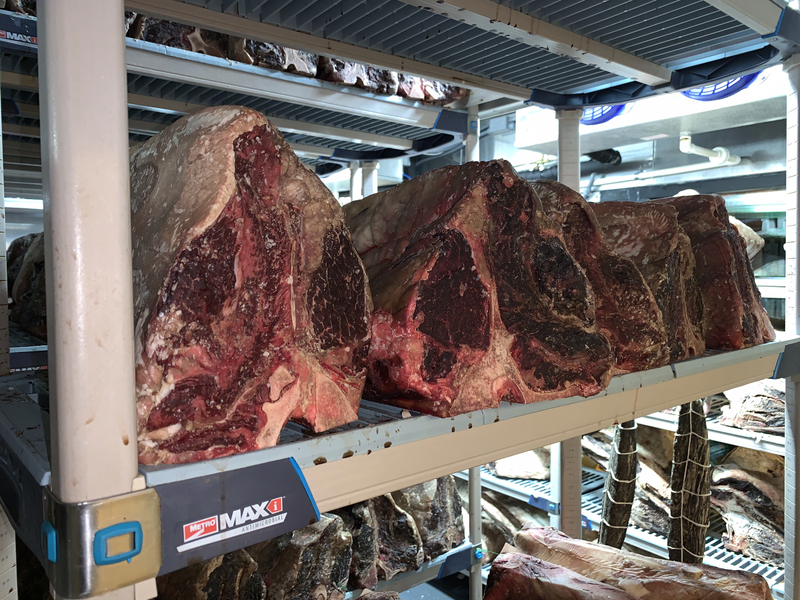 Ideally, the humidity level of a dry aging room should be between 68 and 70 percent, which keeps the room from getting too dry (dried out steak) or to damp (bacteria and mold). 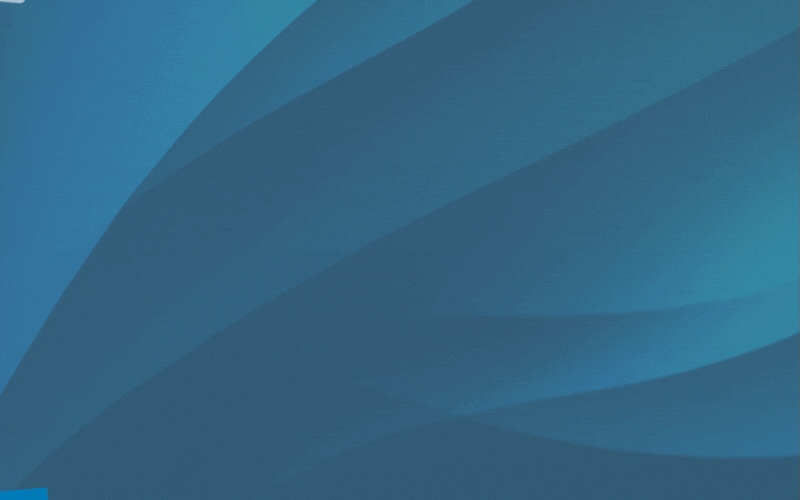 Proper humidity levels come from proper air circulation, and this is achieved with RDT’s Environmental Controller. Similar to the Eco-Smart refrigeration system, the Environmental Controller has many of the same benefits including the ability to provide efficiency and control of humidity levels, with added communications. Reporting and alerts allow operators to know and report on the conditions of their storage facilities, which makes everything easier. Learn more about the process for controlling humidity in your foodservice operation. From dry aging to chocolate storage, we can help you preserve the ideal storage conditions for your valuable products. Schedule some time to talk with a W.D. Colledge character.